Genetic System Builder Generation 2. DOWNLOAD 14 DAY FREE TRIAL HERE. You will need to create a username and password. A lot of people I talk to want to make trading systems, but their concepts fail. They struggle to find the ideas on how to get entry techniques. I was a full time trader and took 7 months to find one entry technique. Few people can afford to spend so much time on trading, but the 7 month search was very lucrative for me. A solution to the problem was the Genetic System Builders. These have been around for along time, but most people find genetic systems normally fail out of sample. So traders want a solution to the problem of too much time to build trading system, and the second problem of genetic systems that consistently fail. I have used most of the commercial systems builders on the market, and felt after years of experience, I could make something better. Something that has less human time and better out of sample results. GSB is also not just software, but a methodology. 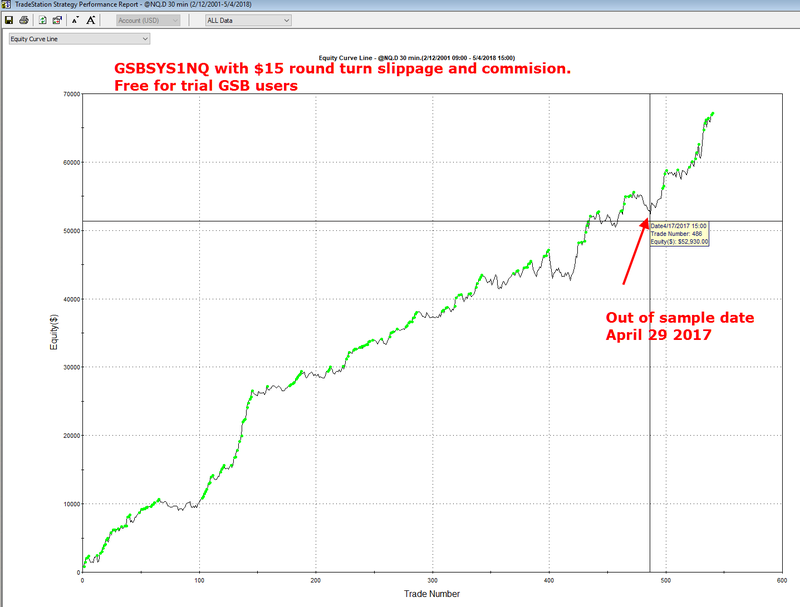 Trading software without a good methodology is like life with no purpose. It doesn't work so well. 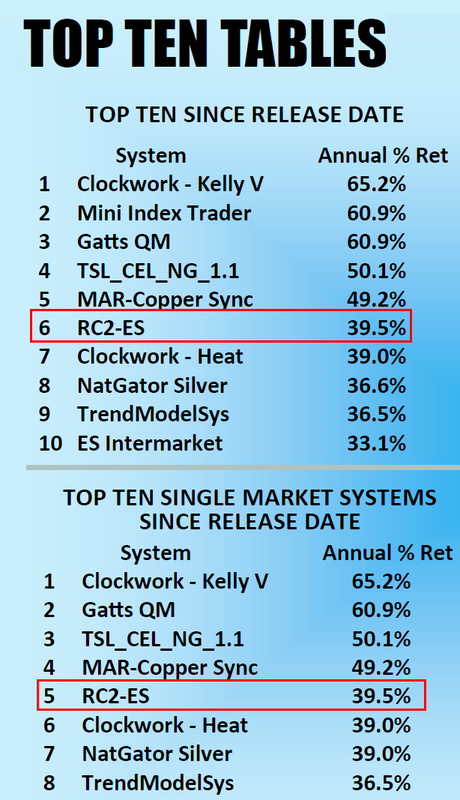 Trademaid's first Genetic system builder, was used to make what was recently Futures Truth top day trading system under the category "TOP TEN FOR THE LAST 12 MONTHS"
Produces more and better systems that competitive products with better out of sample results. Speed is roughly 10 x comparable products. Public GSB server cloud availble for all users. The architecture & design of systems is unique. The systems are produced by someone who is primarily a trader, not a software developer. Why this is good to know, is Traders often have a better idea of what works than software developers. Unlimited multiple data streams can be used for indicators. For example you can use cash indices for price data to trade the futures in your indicators. 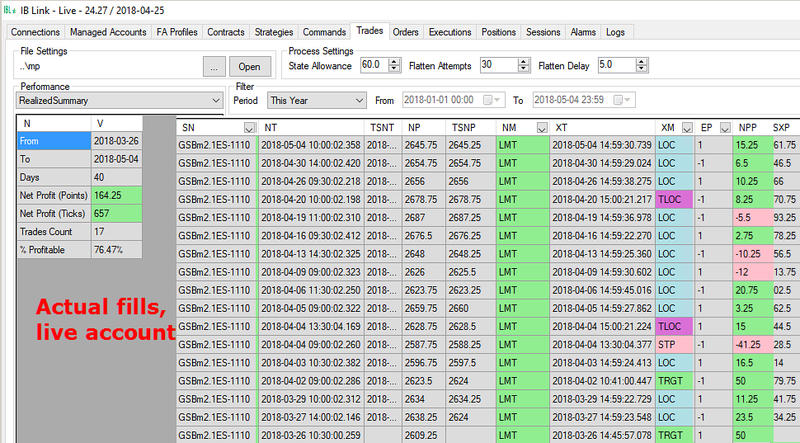 No need to import indicator data from other data streams via csv etc. Systems can be walk forward testing and system generation can be sent to the cloud & or your own computer(s). The ability to look for specific type of system, or genetically further improve a current one. Verification of systems on multi time frames, and symbols. The ability to discard a certain type of system. You may not want systems very similar to what you already have. 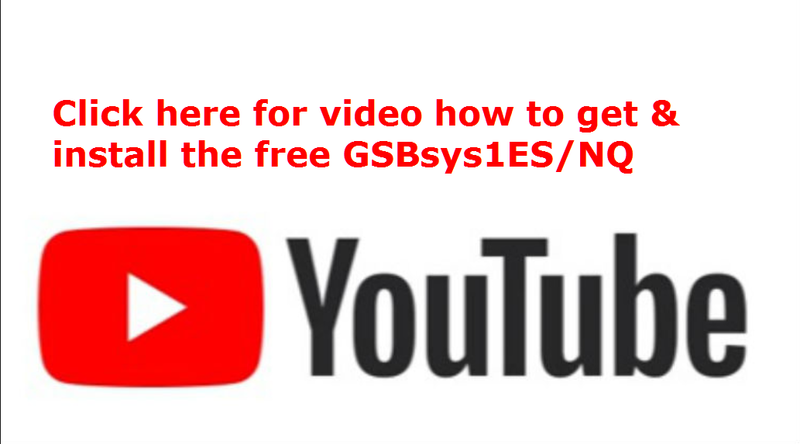 Free trial users will also get GSBsystem1ES/NQ. Click in picture below to download walk forward report. 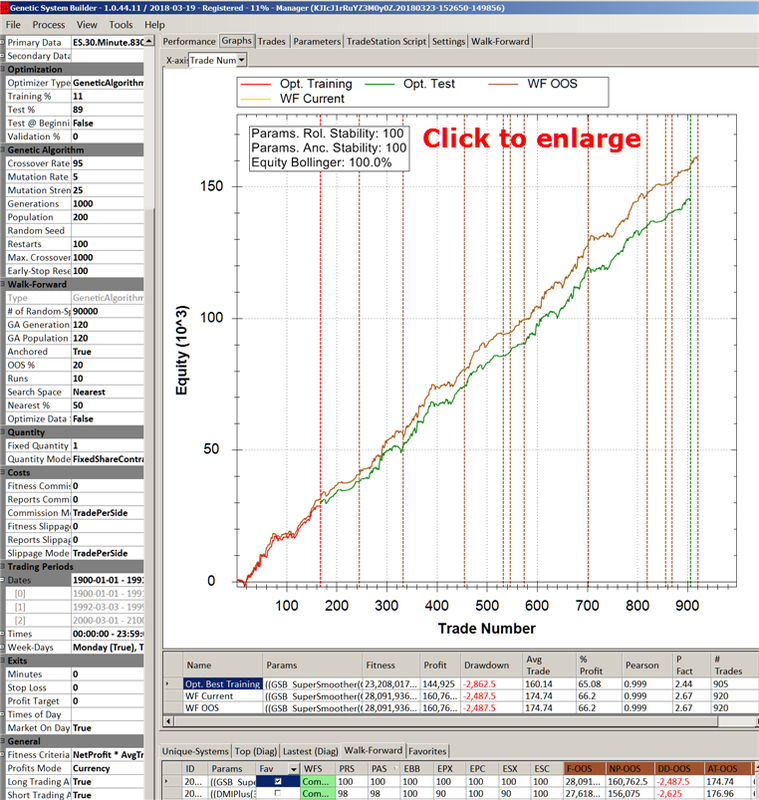 These free systems now have > 1 year extremely good out of sample results. 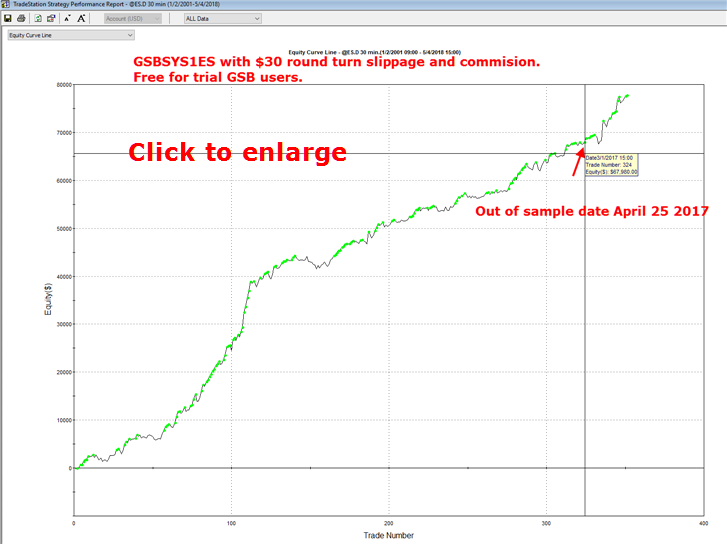 Purchasers will also get GSBsystem2ES, GSBsystem6ES, soybeans, natural gas & crude oil systems. No coding skill is needed. Tradestation & MultiCharts are supported, with other platforms planed in 2019. There are 38 built in indicators, with support for unlimited custom indicators. Even TS/MC locked code can be used. New, multi time frame & multi symbol optimization. New Macros, statistics to diagnose the best and worst indicators. 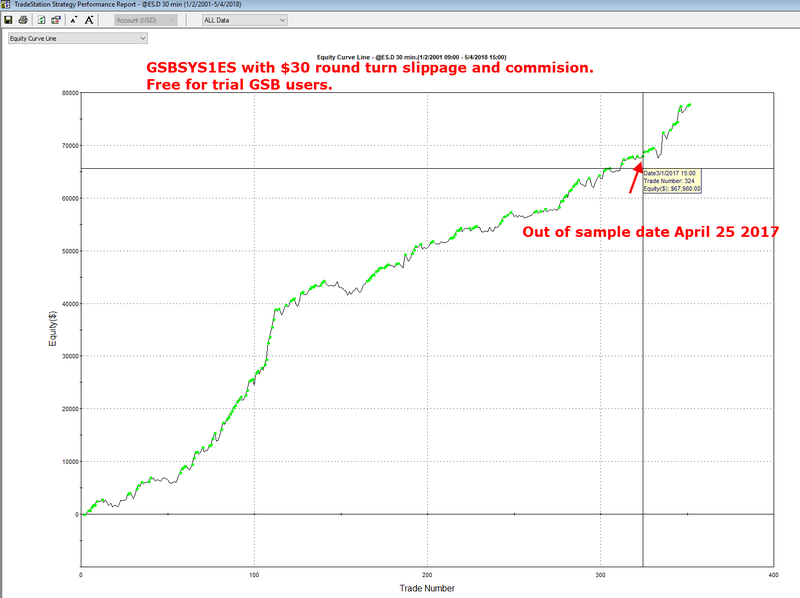 Below, a system made with GSB with real time results since release. Additional GSB licence's. Great for client server mode on other PC's. After this $400 per licence. You must have a licence already to get additional ones at this price. Licence strictly for the same user. Below is read only partial contents of GSB forum - updates in GSB features. You can see a product under constant development. For more content and information, create your free username and login HERE . 1) Please fill in the web form if you want more information. 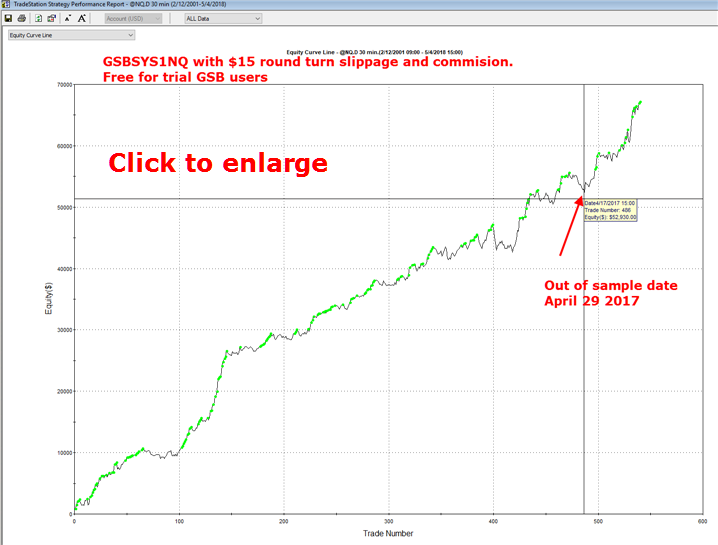 Other platforms apart from Tradestation and MultiCharts you want GSB to work on?